There is a permeating thought among some on how in tuned a child may be to the paranormal. The thought is that because children are so young and indeed still so close to the spirit world, afterlife, what have you that they had been apart of before being born. 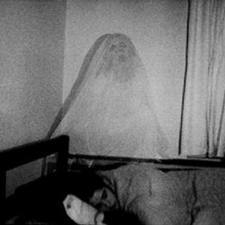 Others believe it’s because they don’t know better than to see spirits since older children are discouraged in a manner, that ghosts are among the realm of boogeymen. What ever ones belief on how and why children can see those the rest of us rarely can the fact is many children do if in the presence of a spirit. For many children the spirits they see are ascribed as being their imaginary friends by those around them. Just someone to play with and to keep them occupied. Other children become terrified by what they see as shadows flicker about the room, their dolls possessed, and the beats and bangs through the night that they’re certain isn’t the house settling as their parents would claim. I only imagine the kind of torment these children go through mentally. They’re truly unsettled by things that they don’t understand and as a result of no one else understanding are unable to get any help that they might need. This bewilders me since even if it were the child’s imagination shouldn’t the parent take seriously anything that bothers their child? I dunno I figured that would be parenting 101 right there. Moving on I know a child with such abilities. I’m going to call her Ginny for her sake. Since she was about seven or eight she has been seeing a shadow man in her room. It’s not every night and when he does appear he merely stands nearby looking down at her. Her parent’s didn’t believe her and in fact demeaned her for it. She’s only been able to talk to me about it and I’ve done my best to give her my advice. Since the man she saw never did anything I told Ginny that she should perhaps tell the spirit to go away. Couple weeks later when he appeared again it seemed to work. Granted there still some activity in her home but she’s dealing with it better now with what guidance I can give. Her parents believe her now too since they’ve come to experience the activity as well. While in their childhood many children may experience these things. A majority of which have outgrown their ability as they age. As to why the thoughts on it are about the same as to why children did see them in the first place. I’ve told Ginny I hoped that this would happen to her for how much it had disturbed her before. Like stated before she’s about to go into middle school so she isn’t too far off from the “outgrowing” age. For what guidance I can give I’m not a proper one being that if she doesn’t outgrow this, she’ll need a guide in working through it. I worry about her and many other children since for some malignant spirits they can be easy targets. Granted children sadly are easy in general for them but for those psychically inclined they are even more exposed since they have yet to develop their own mental defense barriers. A) Do not dismiss them and call their experiences just their imagination. Even if what they experience is just the sweater in the closet do not write off something that may clearly disturb them. That tells them that anything that might truly bother them later would be just as invalid in the mind. If they’re truly disturbed by what they see or here do what you can to comfort them and take it seriously even if it does turn out to be the danged sweater only! B) If one is the type that is mentally paranormal inclined do not overly encourage the possible psychic nature of the child. After all if it really bothers the child they might not want to see anything of it at all. Also as stated before some children do grow out of it so they might feel pressured later in life to “fake” it, if the ability has dissipated. C) Do comfort the child in what ways possible. If one has no idea what to do about it due to different beliefs seek the counsel of the nearest parapsychology team. Even if the information received is complete and total utter bull to the belief system of the home, if it comforts the child and helps them through what’s the harm? In closing do try to be comforting AND considerate of any child experiencing the paranormal. Regardless of whether it’s their imagination or not any parent or guardian should take seriously anything that bothers the child under their care. Also mind that what I stated can be roughly called a loose guide. If things have already escalated in the home it’s about time to contact some help if it hasn’t already been done. This entry was posted in Spirit related and tagged children, explained, ghosts, paranormal, psychic, spirits.